6 Reasons Why Unity is the Best Game Engine Out There! What makes Unity the most popular game engine? The game development space is overflowing with game engines offering capabilities for a diverse range of requirements. 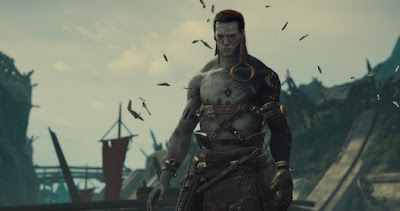 There’s the Unreal Engine for high-end sophisticated games, the advanced and feature-packed Godot, the mighty powerful CryEngine,which comes with full-engine source code and zero royalties,and Marmalade SDK, which promises maximum exposure for the games you develop. However, with over 700 million gamers worldwide, Unity dominates the game engine market. Offering immersive graphics and powerful features, Unity is a platform for artists, designers and developers to collaborate and create stunning 2D and 3D gameplay sequences. Fair enough I hear you say, but why is Unity so popular? Let’s find out. Unity’s motto is to democratize game development; in fact its Personal edition is free to use and download. It is also fullof featuresso that independent developers won’t have to miss out on any functionality to develop immersive games. What’s more, you can create a full Unity game for free in the Personal edition and sell it. You don’t have to spend a dime onsoftware unless you are making more than $100,000 per year by selling games made on Unity, in which case, you’ll have to upgrade to the Plus edition (for a mere$35/month, as of May 2018). The latest tools of Unity are setting industry standards in realism. Its Physically Based Rendering feature along with global illumination and real-time compositing allow incredible detailing, yielding awesome and realistic graphics. In fact, the realism capabilities are so powerful that Unity can be used for tasks other than game development, such as creating interactive product catalogs and realistic visualization walk-throughs. It’s so important for developers to get their game running on multiple platforms. Thankfully, Unity,including iOS, Android and PC consoles, and the number of platforms are constantly increasing. The best part, however, is that you’ll need to make little to no changes to your workflow as Unity is quite flexible in this respect. All it takes is clicking a few buttons, and your game is ready to be played across multiple platforms. Plus, Unity supports Oculus Rift, HTC Vive, Microsoft Hololens, and several other VR systems, so you don’t have to limit your creativity. Unity’s expansive Asset Store is its biggest asset. AI systems, 3D models, animations, complete projects, shaders, or audio—you name it and Unity has it! Want to get your dream game out of your head and into the hands of millions of gamers out there? No worries; just browse through the store and get access to myriad options for your own project. What’s more, you could also sell the assets you’ve created for a handsome price. Unity Services is a new set of features that make building, sharing and selling games a lot more interesting and fun. Tools like Unity Cloud and Unity Collaborate allow backing up the entire game and building alternate versions without affecting the system. They also give you the freedom to jump back to an earlier version if things don’t seem to be going your way. Unity Services also has tools for analytics, ads, performance, multiplayer, and more, so you can get an in-depth look of how your game is performing and where users might encounter issues. If you are an animator or a designer who’s taking baby steps in the world of game development, Unity is the most obvious choice of game engine. And when it comes to learning the essentials of game development on Unity, we have just the right solution for you. 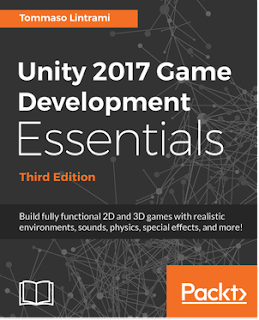 Unity 2017 Game Development Essentials is an end-to-end exercise in game development, covering environments, physics, sound, particles, and otherkey concepts to get you up and running. You’ll learn scripting games using C#, build your very first 2D and 3D games, create fully functional menus and HUDs, and much more. The book is written by Tommaso Lintrami, an expert game developer who’s been building games since the age of 9. Tommaso is a man of many talents—he is a designer, developer, composer and writer. He has been working with Unity for over 9 years now, having developed a number of games on different platforms. Tomasso brings this expertise to the book, taking you through game development in the most fun and interactive way imaginable. So what are you waiting for? 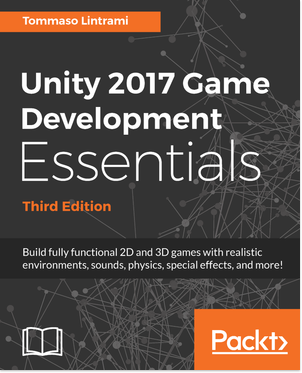 Check out Unity 2017 Game Development Essentials and get ready to make a mark in the gaming industry! What Is The Most Important Part of Architecture? Could Budget Sweeps Fix Your Cybersecurity Problem?